Phonographic Copyright (p) – Springboard International Records, Inc. Copyright (c) – Springboard International Records, Inc. Copyright (c) – United Features Syndicate, Inc. 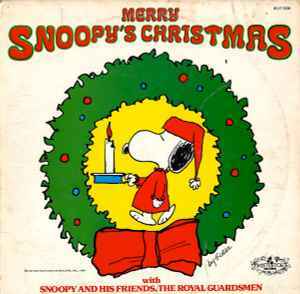 Credited to "Snoopy and His Friends The Royal Guardsmen," this is essentially a reissue of the 1967 The Royal Guardsmen - Snoopy And His Friends LP. On labels: A Product of Springboard International, 8295 Sunset Blvd., Los Angeles. CA 90046 Printed in U.S.A.